So here I am. After a really long time I guess. Sitting in the train to Colombo. It’s leaving now. I’m pretty sleepy. Guess I should get some sleep. Got a seat near the window. It was funny though. How it happened. A couple came and the guy had to sit near me. Girl was in another place and I could see that he was upset 😉 Anyway he managed to talk to an uncle who was sitting there to swap seats. So that uncle came to the seat next to me. Aaaand his friend was in the front seat. So I got the chance to swap it. His friend said he was sorry for the trouble but it isn’t any trouble at all. I love to sit near the window. the breeze, the view… everything. I freak out when I can’t open the window or when ppl close them on purpose. And I hate busses. Trains are much more comfy. Looks like it’s gonna rain. Or not. Actually it looks like a pretty sunny sky. Some rain would be nice coz this heat is just weird. On a bridge now. I was afraid of these when I was a kid. They looked like monsters. Waiting to chop your head off or something. Scary stuff. 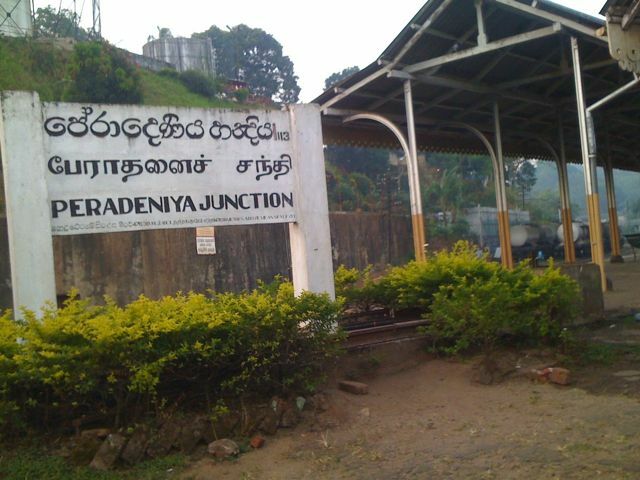 This is the first time I’m using the wordpress iPhone app to post something aaaand the train is at peradeniya now. So that’s it for now. Cheers. freak out, weird, scary,,, 😀 mata holman kathawak mathak wuna..
superb men .. . .! u took us alog with u thru this post malliyaa. . . .! nice one . . .i love it . .